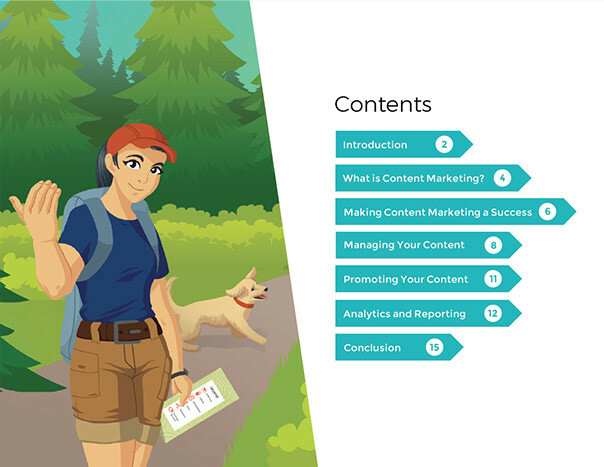 Content marketing is more than creating new materials. 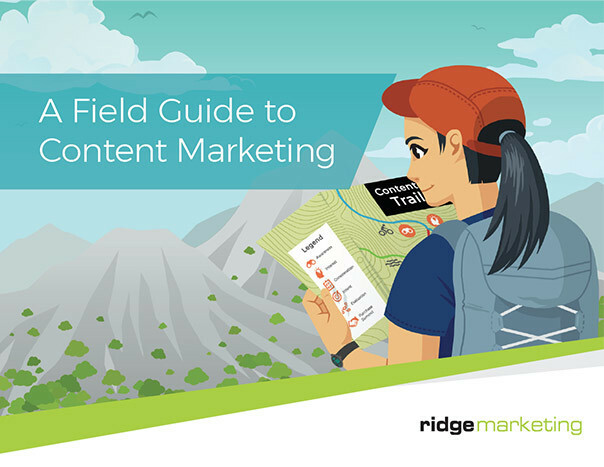 If you’re looking to boost your content marketing efforts this year, start by downloading your free copy of the Field Guide to Content Marketing for strategies, templates and other resources. 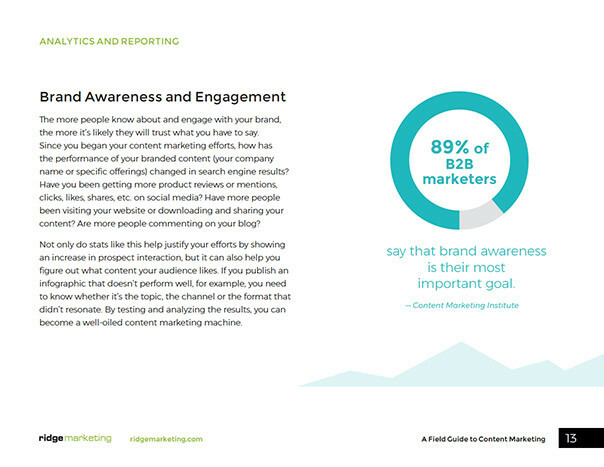 Establish a foundation for success by understanding how your offering makes your customers’ lives better. 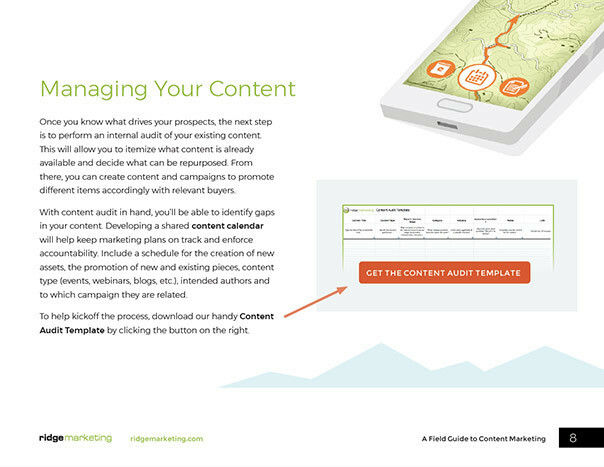 Map your existing content by type and buyer’s journey stage with the included content audit template. Learn ways to track success, justify your initiatives, and work together with sales to close more deals.